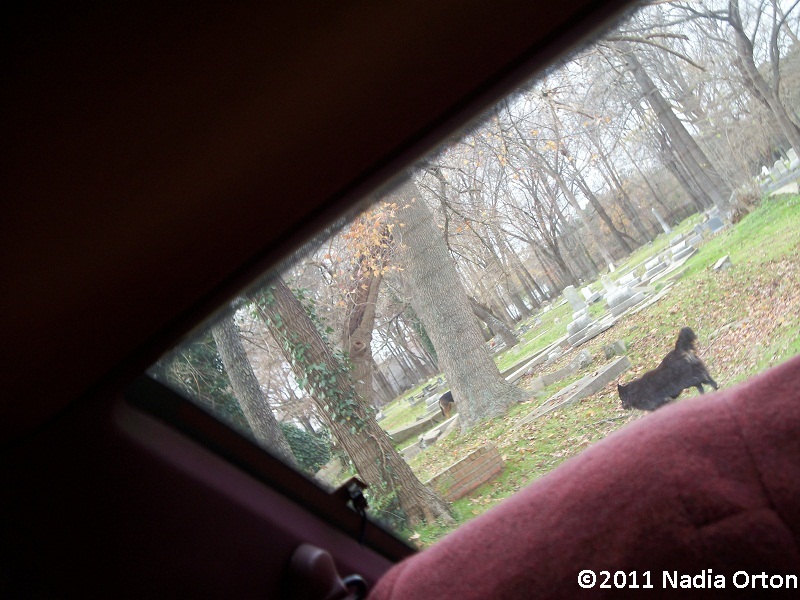 On a visit to our family’s ancestral gravesites, these three unwelcome visitors honestly scared me to death. 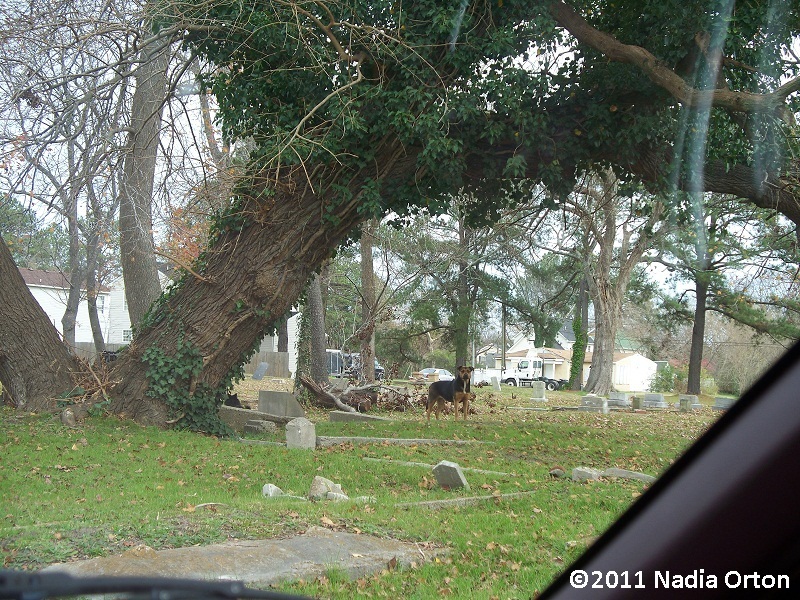 Hidden from view, they were resting in one of the broken ledger graves in Mt. Calvary Cemetery. Safely back in the car, I contacted Portsmouth civic authorities about the dogs, and later sent a map of their general location by email. 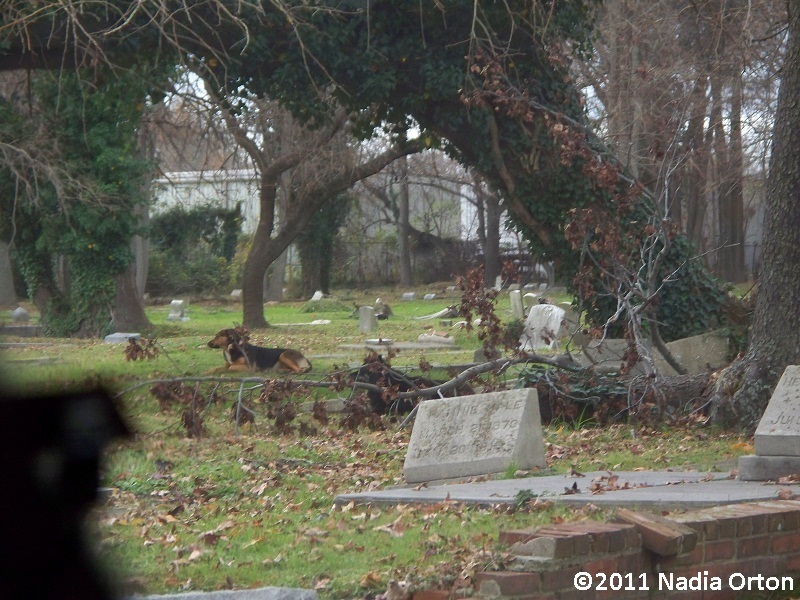 The dogs were either trapped, or moved on, six weeks later.